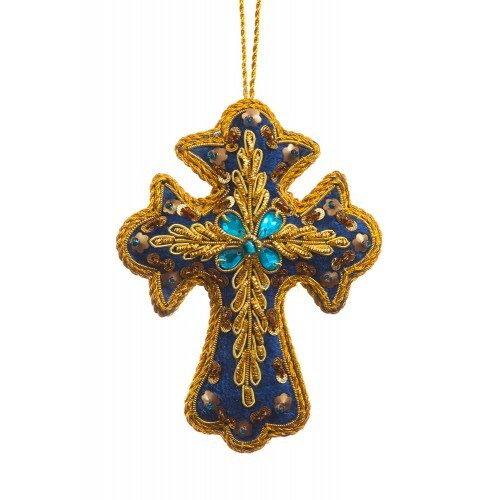 In deep navy and with intricate metal thread embroidery, this cross decoration is beautifully ornate. 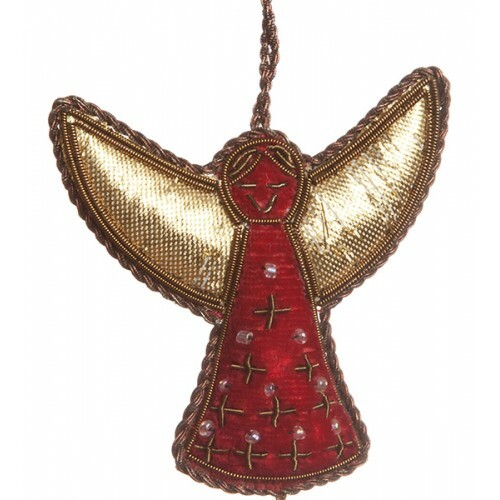 With their golden wings and simple red robes our vintage Angel decorations have been hand-crafted us.. 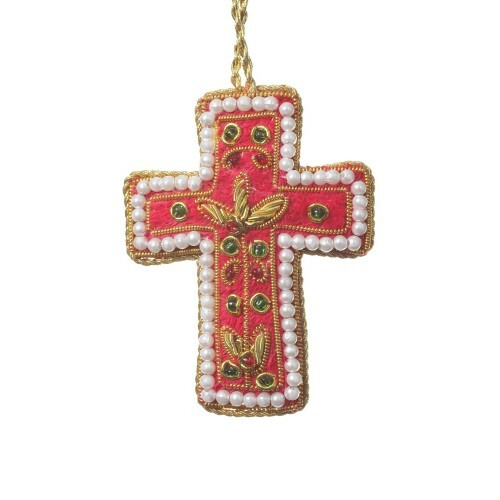 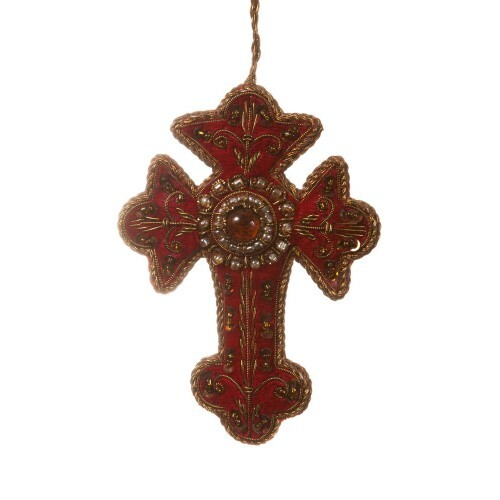 In deep red velvet and with antique gold metal embroidery, this cross decoration is beautifully deta..